It has been such a beautiful day. 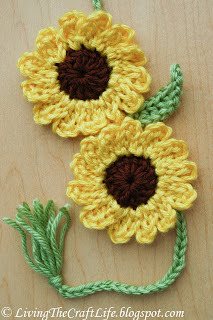 I had to post this beautiful photo of the sunflowers I made with a stem from the bookmark pattern. Be creative. Make something beautiful. Enjoy life!